It may not fully live up to Brendan Behan’s dictum that the first item on the agenda of any republican organization is always the split, but it does show how those who’ve worked together can turn away and even become enemies. 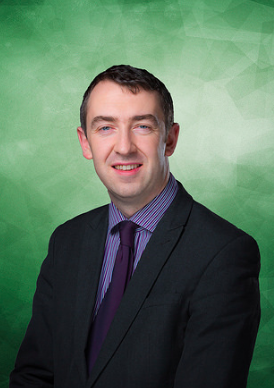 This morning the news comes that a Sinn Féin councillor and seventeen party activists have quit the party, in protest over the treatment of Daithí McKay and his replacement by Philip McGuigan. It’s a classic case of the local and personal in conflict with the national and political. I expect if I were Daithí McKay or one of his active supporters in North Antrim, I’d be furious that my man had apparently been hung out to dry. Not just that, but that his replacement Philip McGuigan had been slotted into Daithí’s place without so much as by-your-leave. On the other hand if I were a leader of Sinn Féin or one of its major strategists, I’d probably do what I thought was best for the party. It’d be regrettable that someone with the talents of Daithí McKay had to be sacrificed, but the alternative would probably have offered a vista too appalling to contemplate. As for Daithí’s replacement by Philip McGuigan, the quicker it was done the better for the party: don’t forget, Philip McGuigan had been a pioneer – the pioneer – in creating the considerable Sinn Féin support base in North Antrim. It hurts when you feel you’ve given your all to a party and the response is treatment suggesting you’re unimportant or even dispensable. Few people can take that sort of wound and not cry out loud. But if you’re really concerned for the welfare of your political party and the goals that it pursues, you’ll clench your teeth and accept you’re not going to get keeping that star billing after all. So to the unhappy dissenters, I’d suggest a question: Do you really think that by yelling aloud in pain and nursing your grudge, you’ll help the party, move our society closer to the goals you and the party share? You have a choice, guys: take the path that’s most likely to achieve the goals you say you’ve always worked for, or take the path that gives precedence to your understandable sense of indignation. What was that line about holding a grudge and aching for revenge? Ah yes: it’s like drinking the poison and hoping the other guy will die. An old adage from my youth “All good men will come to the aid of the party”. Why don’t they start another party and abstain from Stormont but give a voice to those of is who are against Stormont rule. Split Jessica? That’s hardly going to be good for Republicanism…. To be perfectly honest Ryan, I put what is best for Ireland first, not republicanism. Ireland will never not be a republic so it is a pointless term in 2016 anyway. What we need is a party prepared to stand up for what is best for Ireland to take control in Dublin. One who will lead us to prosperity and not bankrupt our future generations with communist and socialist short term easy options or too soft on global corporate demands at the expense of the most vulnerable in our society. At the moment there are no parties who meet that criteria, but only Sinn Fein have the courage to pursue it on an all island basis so we still have hope. These people have already split, if they choose to attack Sinn Fein over who gets to sit in Stormont, then simply ask them who do they expect will look out for our interests in Dublin? You appear to overlook the fundamental difficulty in this situation. DMcK interfered (albeit allegedly) with evidence to be given by a witness, which, if this was a legal senario would constitute a criminal offence. Such an action was not only extremely foolish and naive, but had the potential of causing extreme damage to the integrity of SF as a whole. I wonder if the shoe was on the other foot and the interference had been instigated with a view to damaging a politician who has your vote. Would you not be seeking the resignation of those involved. I certainly would not want a politician acting in my name thinking that this sort of ‘politics’ is acceptable. I agree, not sure what I said to make you think I didn’t Damian. What did you find insulting Marion? Being a good republican is not about sticking up for comrades or the structures of Sinn Fein, it is about getting rid off oppressive british rule and making sure our people don’t have to suffer conflict and hardship caused by english dominance and misrule over any part of Ireland into the future. Ireland is more divided than it ever has been, the southern state has misruled its people and created an Ireland divided among many lines, not only the border but over social and economic issues also. Unfortunately, Sinn Fein is not simply a political party but it is also the ONLY vehicle there is for the hopes and dreams of every Irish person on this planet that one day Ireland can be a free and independent nation that will treat all of its people with equal respect regardless of what county they are from and have the courage to defend the rights of its citizens against any nation who would subject Irish people to the disrespect and indignity that England has done and still does. I am in no doubt whatsoever that Sinn Fein is the ONLY party trying to heal these divisions and bring all of our people throughout all of this island together which is no mean task and will involve many hard decisions. No individual including Gerry Adams is bigger than this republican objective to reunite our nation, so rather than claiming to be insulted over people backing this ideology over individuals, please explain what exactly you find insulting and why? Ireland is not the 26 Counties! Ireland has 32 Counties and currently 6 of those are controlled by a British constitutional Monarchy and are not part of a Republic! Ireland is and will always be the whole of this island. The Irish constitution describes the Irish nation as presenting the whole of this nation. Ireland is a republic, with 6 counties under British control with an agreement in place to allow those 6 counties to take their place within the all island republic but only when there is a majority support for it to avoid further conflict. That is the situation which has already been agreed, so the British monarchy have clearly already given approval to release the 6 counties under these conditions, and I fail to see how it can ever result in Ireland ever reverting to the British constitutional Monarchy, not do I believe they ever expect it to so it will clearly always be a republic. The Irish constitution describes the Irish nation as representing the whole of this island. Little sympathy to be honest. The act and manner of the outreach to Bryson was at best highly embarrassing. Take it on the chin, lads. Lets hope if they do start another party they are in opposition to Stormont and not simply yet another anti Sinn Fein party. You’re suggesting that Daithi wasn’t on a solo run and that the parry machine was behind the Jamie Bryson coaching scandal? labeled dissenters already,your out of the traps early this morning.lol. As Orwell said, 4 legs good, 2 legs bad. Is SF a bottom up, or a top down party? Or everything to every member until it comes to the crunch & your view differs from party line? What would BB say? Recent blogs addressed core issues of gerrymandering and partition. Most people know the historical and contemporary problems that continue to fuel conflict and division on these islands. It is an indictment of Irish political leadership that the European Commission is of the view that Apple owes the Irish State “billions of euros” in back taxes when it rules that the technology giant’s tax arrangements constituted a form of illegal state aid. However, the Irish Government is poised to appeal the commission’s findings and already some ministers are embarking on a campaign in order to maintain the status quo. Significant questions have been raised about Invest NI in relation to funding projects in the north of Ireland. Significant questions remain unanswered in relation to the NAMA imbroglio. Now is the time to keep a focus on the wood, not the trees. maybe people before profit will move in and poach them. should go well round that neck of the woods with some of the hungry fxxkers i seen yesterday at the lammas fair.give you the sleeves of their waistcoats they would. I would disagree that people should grin and bear an injustice (if there was an injustice) for the good of the party. That way lies unaccountability and an autocratic monolith. Should Jeremy Corbyn lie down and relinquish his leadership because the overwhelming majority of his MPs, Labour NEC, Labour Deputy Leader and Labour General Secretary feel he should? If there is a grievance it should be dealt with in a transparent and equitable way. It is widely accepted that the best chance of reaching a mutually acceptable agreement is where a process exists where both parties are given a fair opportunity to make their case and that these submissions are dealt with fairly. It may be that these people who are walking away have unreasonable expectations and if that is the case they should be given the chance to tell everyone what they believe the Party should have done in the circumstances in which Mr McKay found himself. It may also be the case that these people have perfectly reasonable aspirations and that the Party has acted in an autocratic fashion and imposed a resolution without local consultation. I am not saying that this has happened but it does occur in larger parties where the central leadership have become detached from the local party mechanisms (see Labour Party) and if that is the case then it is wrong and the central body needs to come clean and apologise. The important question to be asked when we say “for the good of the party” is who is the “Party” is the party the central body, (Ulster Council) or is it the members? I agree with much you say, Pointis. But who gains when a group of people denounce a party and walk away? Certainly not the individuals. Nor the party. The people who gain are those opposed to everything the party stands for. Of course there should be a mechanism for dealing internally with grievances. If there is it should be used. If there isn’t it should be campaigned for. But public denunciation followed by exit stage left benefits nobody but political opponents. I would agree with you Jude that this action is damaging to the individuals and Sinn Fein party. I can’t make a judgement on the specific grievance that these people are making because that information is not available to me (it is possible that their grievance is not sound) but I find that people who have devoted a considerable portion of their lives to a particular vocation do not damage that vocation unless all other reasonable options have been cut off from them. I remember the original claims being made about child abuse in the Catholic Church and they were being made by people who were Catholics. Those people had exhausted every option open to them before turning to the only option they felt they had left – the media. They were made to feel like pariahs, allegations were made against them that they were greedy and just out to make money from the “poor priest” who never did anything wrong. They were made to feel unwelcome in the church and in the communities in which they lived. I and other Catholics should feel properly ashamed about the way we were suspicious of the claims these people made and how we were quick to cast aspersions about their motives. That is why I will not condemn these people until I “have walked that mile in another man’s shoes”. If it was over bringing the party into disrepute through acting with duplicity while chairing committee, I believe he should yes. Daithí an hardly deny what he has done and Sinn Fein cannot lead from Dublin and at the same time not be seen to be whiter than white. Anyone who fails to see this or expects any dubiously tolerant treatment for such behaviour should just leave the party now, go join the PBP or whoever you want. Sinn Fein are no longer a northern party, they are one of three contenders for leading Ireland through the Dail. To quote spiderman, with great power comes great responsibility. Time to step up or step aside. It is time we all took our blinkers off and stopped seeing Stormont as having any long term relevance in Ireland. It is a museum in waiting. He Daithí McKay in his own word I maid terrible error of judgment and he accepted it on the chin and remember he wasn’t the only one who had been on the panel discussion the Nama controversy after all there is always back door channels and discussion going on but in my opinion he was set up by Bryson who also duped DUP and UUP into controversial circumstances Byrson is a dangerous individual who has only self interest in bringing Stormont down and will take any one with him, Daithi McKay acknowledged that his contact with loyalist Jamie Bryson was inappropriate and wrong but I’m sure also was working on a strategy to embarrass the DUP and others but it backfired, so he got set up by Bryson at least he stood down and admitted his wrong doing and resigned but with other Sinn Fein members slandering him and this same person was also advising Bryson to save his own skin shows you that instead of standing by Daithí McKay and offering him support they Sinn Fein will save there own skin but they have to remember the people see this as a double standard and aren’t puppets on a string who can be pulled, but for the rest of the Sinn Fein members who stepped down in solidarity with McKays treatment from Sinn Fein serves no justification whatsoever they had work to continue on the purpose of where did this money go to and who was dipping the purse which no outcome will ever really come of it and it’s a waste really as they all probably split the purse but there you go know there getting called Dissenters which is harshly over stated and wrong just because they weren’t happy with what treatment McKay received from the party and not being informed of his successor doesn’t mean they can’t argue for better treatment and support of there party after all it’s there right to do so under fair employment and rights at work Sinn Fein needs to step up here and support there colleagues at work and stop the motto ourselves alone it’s a insult to those they abandoned. Séan that read like a page from GCSE grammer test, some punctuation for fxxks sake. Jude, I agree with you. Those 18 should stay in the party and change it from within, hahhahaha…i crack myself up sometimes. Hi Jude….Well…It’s pragmatism , isn’t it? There are only two possible stories to tell here , so you have to choose the one you like best .Either Mr McKay was working entirely alone in his dealings with Mr Bryson or he wasn’t . SF have decided that it reads best that he was on a solo run and the outcome of that story is that they preserve the notion that they knew nothing about him trying to bring down Peter Robinson by any and every means. What other way could you tell it?There is no real way to vary the ending of this one without looking like a liar, so how could they support him? It has to be the “solo run” story to make any kind o f sense. This kind of solo ploy works very well in wartime where everything that hurts the perceived enemy is perfectly acceptable. ….killing, spying, sabotoge , scandal….anything to get the job done. In the past the republican movement figured ,for example , that economic targets were perfectly acceptable to bleed the British economy, so they blew up towns across the land .That was their thinking back then.That was how they were going to get Britain to leave .We live in different times now , of course where our government is a two-headed dog with two different brains and if you hurt one head , you’ll hurt the other’s plans too .So Mr McKay couldn’t be supported in any way, whether he was right or wrong in his choice of allies.I have to admit , he made a very unusual choice in choosing Mr Bryson and the story behind it has yet to be really told in full. Maybe now that he has abandoned ship we’ll get a fully realised version of events from his perspective, which Sinn Fein will naturally enough seek to deny.He’ll have to ask himself , though…how could the Sinn Fein leadership support him without admitting they were party to his machinations. I think you’ve put your finger on it, PK (again). But like you, I’m baffled as to how Daithí or Daithí + SF would have sent messages on Twitter or whatever to Jamie Bryson. I know my enemy’s enemy is my friend, but this seems so naive it hardly bears consideration. Likewise the idea that Jamie was a mastermind, manipulating everyone for his own ends…Doesn’t ring true.Like British participation in the Dublin/Monaghan bombings, I doubt very much if we’ll live to get the real story. Sort of shows that thinking is rather foolhardy at best. I am guessing the idea was that the dup was considered his enemy, and because Jamie was also their enemy therefore he is his friend. Didn’t work out too well though. It’ll be interesting to hear Mr McKay’s response to those who left Sinn Fein in his wake. After all he’s already admitted he made an error of judgement and would rather he had not, so in reality falling on his own sword for the good of the party.If he was telling his own “truth” and not actually lying through his teeth, then why did those councillors not see that as a righteous thing to do for the entire party?What is it they want ? Did he make a foolish mistake which the party could never support or did he not?In politics anywhere, you’re only allowed one of those mistakes before you lose your footing.Is that not right and true?I get the impression that these supporters were actively looking for a time and possibly a good enough excuse to leave the party. That’s fair enough.We’ve seen the UUP becoming the DUP before now, so I wonder what the new party will be called, then…. I might be wrong here but I think they are more aggrieved that Philip McGuigan has been put in as his replacement, maybe others think that they were better placed and are stirring the pot. One fellow who has made a meal (seven course, a la carte, of course) is the Man who is Thursday in The Unionist Times. How’s this for a hors d’oeuvres? -McKay witness scandal is just the latest blow in the onward march of Sinn Fein. It will be recalled that he replaced the previous incumbent who went on to better things on Stormont Hill. Although both are from the same side of the political divide, i.e., they loathe Sinn Fein with the same fashionable passion, it is not the only chain which links the Two Thursdays. Non-believer Eamon McCann (for it was he !) has confessed in public how he worships The Salamander Man this side idolatory, to the core of his socialist soul: that would be Arsene Wenger, bainisteoir of Arsenal. The preponderance of the A-prefix tempts one to rhyme with it with lick, but perhaps better not to go there. The seemingly underachieving Saintly Wenger gets to wheelbarrow home a mere dozen million squids per anum. Not being cultish oneself one wonders just how exactly this sort of moolah sits with the People before Profiteers. Perhaps that cult’s strict rules regarding profit apply only to mere people and so, are not relevant to a Prophet? The Salamander Man always give the impression that he spends his down time away from the Emirates (!) in the unfathomable dark, dank and damp depths of a Slovenian cave system which is the natural habitat of the species. Newton Emerson (for it is he !) the incumbent who is now known as The Man who is Thursday is more commonly referred to by his numberless legion of new fans on Liffeyside as plain, Newt. A newt, of course, is a semiaquatic amphibian of the family Salamandridae, although, sans doute, not all aquatic salamaders are necessarily considered newts. -It looks like Sinn Fein’s attempts to move the party upmarket is becoming increasingly ad hoc as it fails to produce any stand out performers. Newt truly is a hoot: one looks forward to his balancing homily this Thursday as he painstakingly profiles the (gulp) stylish stand out performers of the People before Profiteers and other neo-, rio- and chino-Unionist Parties. Though not old, it’s still an Orange Flute. That was the historical problem with Republicans, constantly splitting and fracturing, concentrating just as much on fighting each other than their enemies. It was Fr. Alec Reid that said the reason why we don’t have an United Ireland isn’t because of the actions of Unionism but because Republicans wont unite. That’s a very true statement. Indeed I think it was Fr. Reid that facilitated the first talks between Gerry Adams and John Hume in Clonard Monastery in the early 1990’s, talks which were about finding common ground and coming together to find a joint nationalist/republican approach. This all helped bring about the Peace Process we have today, which isn’t perfect but is something we can use and work with. The 17 activists who left SF in North Antrim is hardly going to throw SF into chaos. But when major splits do happen, republicans have to question the words, actions and motives of certain people. The British Army may have left the North but MI5 haven’t. The best and most renowned tactic the British Government ever engaged in was “Divide and Conquer”. All Republicans should remember that. Sinn Fein are no longer a republican movement Ryan. They are an Irish political party and as such have responsibilities they must live up to which are centred around what is acceptable in the Irish parliament, not in the pantomime up at Stormont. There are real needs in our society all over this country. It is time the games and strategies ended and the real business of building an Irish nation fit for purpose for the Irish people began. Are you really suggesting that the North Antrim 18 are the creatures of M I 5?!! .No true republican would ever leave the party.